You, Me and Movies: Review: "Sleight" is kind of a magician movie, kind of a superhero movie, and all awesome. Review: "Sleight" is kind of a magician movie, kind of a superhero movie, and all awesome. One thing I hate most when looking around at marketing for movies is when they try to sell a movie as being a mash of two great things. If your movie is just the sum of other movie's parts, there is a part of me that will think you lazy. Don't get me wrong, there is plenty of low culture mash-ups that have hit my sweet spot. Sometimes people just get lucky. But when something is blatantly obvious that its pieces of other movies, it loses me. There was one poster I read about "Sleight" right before I watched it that claimed that "Sleight" was "Chronicle meets Iron Man." I suddenly felt a sudden urge that I shouldn't waste my time watching it. What would be the point? I don't want to see two pieces of great movies that I've already seen before, I want to try something new. Turns out that "Sleight" isn't a mash-up of "Chronicle" and "Iron Man" and thank God for that. Honestly, I can't really compare "Sleight" to anything. Its not a wholly original concept, it takes ordinary and familiar storylines and tweaks them just enough that we don't quite recognize them. Now, after everything I wrote in my opening paragraph, that may seem like a contradiction. I don't mind when movies approach a familiar trope a different way. Take "Dracula" from the 1930's and take "Afflicted" and then look at "Near Dark." Three movies about vampires, but they are all approached in three radically different ways. That's what I like and want from movies, I don't just want the same movie over and over again. 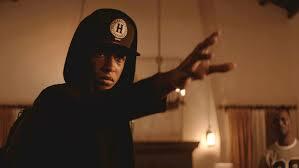 "Sleight" has some magic antics in it and some slight superhero antics in it. But not really. Kind of. Sort of. But not really. But to compare it to "Chronicle" or "Iron Man" is a disservice to "Sleight." "Sleight" is "Sleight." So what is "Sleight?" Well, its about a street magician who performs wild magic tricks that appear superhuman to the eye. Then during the night, he sells drugs for local gangsters. He lost both of his parents recently and now he is the sole guardian of his little sister. He once had a scholarship he was going to use towards college, but that is a no-go now that he has to look out for his sister. Sadly, its taking him in dark places simply to provide for her. But hey, his magic catches the attention of a cute girl who he begins to date, and his magic tricks become more and more elaborate. As he tries to get out of the gangster life for good, it constantly keeps pulling him back in. Should he try to fight his way out? After all this description, I bet some of you already have this movie figured out. To a degree you probably do, but you may be surprised just how many twists and turns there are before the film's finish line. I thought I had the film figured out a couple times, but when I didn't, I through theories out the window and just enjoyed the ride. I am glad I did too. "Sleight" is clever subversion on some tropes we have been seeing recently in genre films. If this is what comes out of this long slog of superheroes and brands on screen then at least there will be some pros to this era of film. I am going to say though that I am going to keep this review short. I want you guys to discover this. I want to invite family and friends over and watch this film on a loop, discussing everything that is cool about it afterwards. This is a movie that going to get you giddy while you watch it. A movie that you are going to love as it draws closer and closer to its conclusion. And something you may remember big time by the end of the year. I will say that the film works because of its amazing cast. Pretty much all of whom I have never heard of before. Jacob Latimore plays Bo, the street magician, and he is a pitch perfect lead. Seychelle Gabriel plays Holly, the girlfriend of Bo. They had a radiant relationship in the film and the build believable chemistry by playing people we recognize. Not mere characters in a movie. Everything plays fairly grounded, which is good as things get weirder by the end of the film. But they play it real and raw throughout. Then there is Dule Hill you may remember from the TV show "Psych." In that show he was funny, and at first I didn't think I would by him as a crime lord and the main villain of the movie. But I must confess, Dule Hill does outstanding work in this film. He comes off as a stern, gritty crime lord. Its never once awkward. It never once feels forced. Hill just does really good work here. He's never once funny or jokey and it pays off big time. "Sleight" is a special drama wrapped in a familiar superhero bow. Its anything but what you may see in the trailers and I think I will be championing this film all year long. Review: Netflix makes a big splash with "Okja"
Review: "Mindhorn" is a fun little British caper. The first "Black Panther" trailer!